After falling in love with the X360 wireless controller, any controller with wires was starting to bug me. 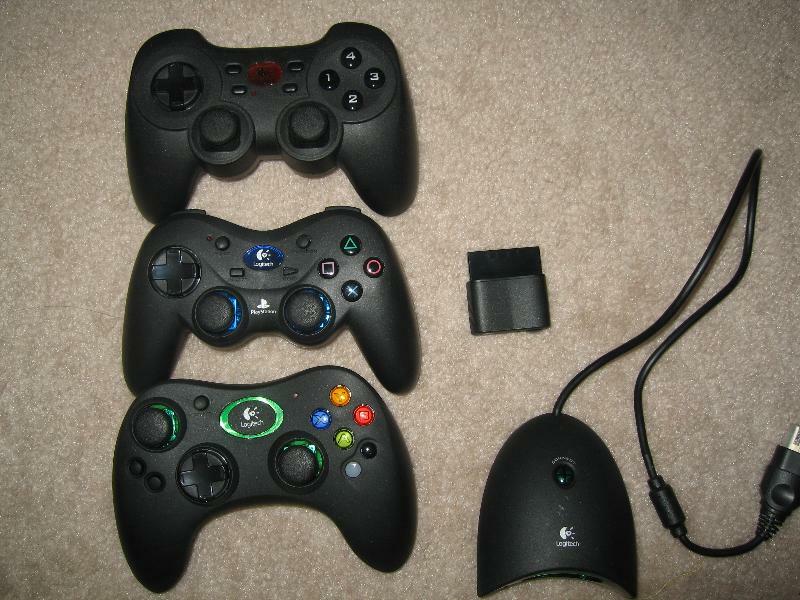 Here is a nice set of Logitech controllers that work pretty well. I'm usually very picky about my controllers and almost always prefer the first party controllers. - PC: $20 when on sale, usb, works great with mame, ps2 controller layout but with a superior digital pad IMO. This controller works and feels the best out of the three. If you don't mind wires though I still like the wired X360 controller as that is my favorite gamepad of all time right now. - XBOX: $32-40, This one isn't bad but It's my least favorite out of the 3. You can't use a headset. The memory slots are on the dongle so it makes it rather large. The trigger buttons have too much resistance to them. I can see maybe your hands hurting after long play periods with say a racing game that uses those triggers for gas and brake. The face buttons require a bit too much force to register. I've also read some possible long term reliability issues with those face buttons. The right analog stick is just a tad too far to the left so your thumb has to stretch just a tiny bit. The analog sticks are a bit loose for my taste just like the ps2 ones. Overall I recommend all 3 products. Even though I had several issues with the XBOX controller I still think they are pretty minor and none of them are deal breakers.